[Midsummer Dragoness]This title is an unofficial, amateur translation. A once lonesome young woman sets foot on the beach with her companions. Clad in swimwear selected by her friends, she experiences these blissful hours as a dream made real. In days past it would have seemed impossible to her, a person neither fully dragon nor fully human. Reveling in this bliss, she smiles softly and makes a wish: may this moment of joy last an eternity. ⇧ Lvl 55This skill is enhanced at level 55. 350%-450% Water damage to a foe. 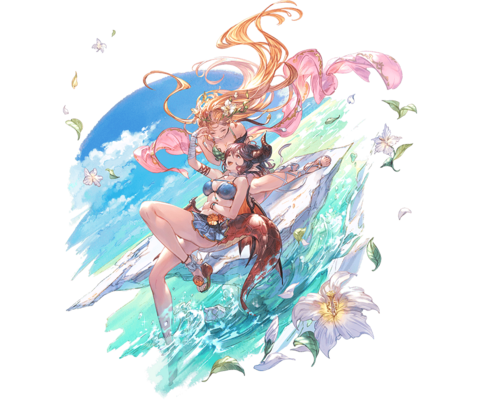 Duration: 5 turns to caster and an ally. 60% / 20% critical hit rate60% chance of dealing 20% more damage. is in effect: 50% boost to C.A. 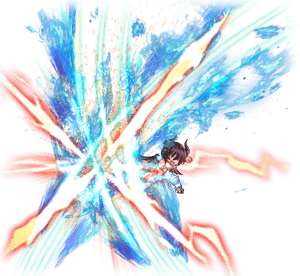 damage, 30% boost to C.A. damage cap, refresh 5% of max HP (Healing cap: 300), and 15% Uplift effect. Requires completing Side Story: Lonesome Dragoness - Ending to unlock her first Fate Episode. Having completed the original Story Event doesn't count as meeting the requirement. 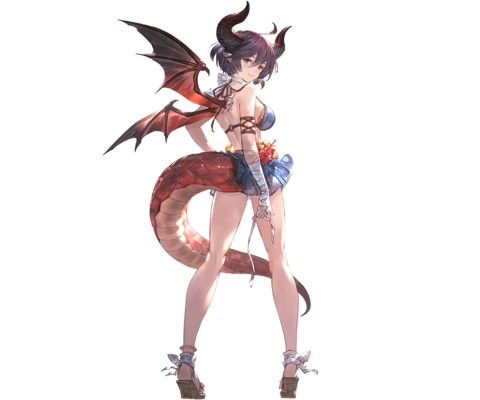 will only receive effects from Grea's Crescendo Waves support skill; in other words, the ally will not receive effects from Flame Arts. will still benefit from its effects. 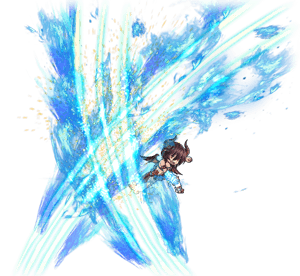 The 20% bonus Water DMG does not stack together with the first weapon skillHoarfrost's Fourth Pursuit of Xuanwu Shellfists. If both are present, only the strongest bonus water damage will be in effect. This page was last modified on 14 March 2019, at 03:02.